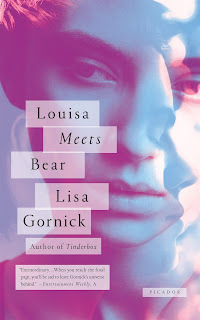 Lisa Gornick is the author of the new novel The Peacock Feast. 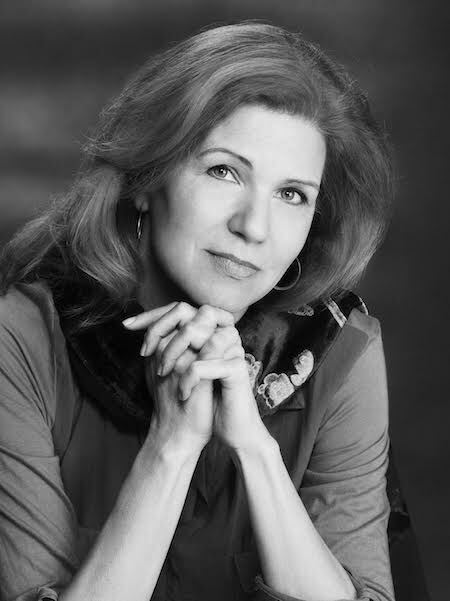 Her other books include Louisa Meets Bear and Tinderbox, and her work has appeared in a variety of publications, including The New York Times and Prairie Schooner. She is on the faculty of the Columbia University Center for Psychoanalytic Training, and she lives in Manhattan. 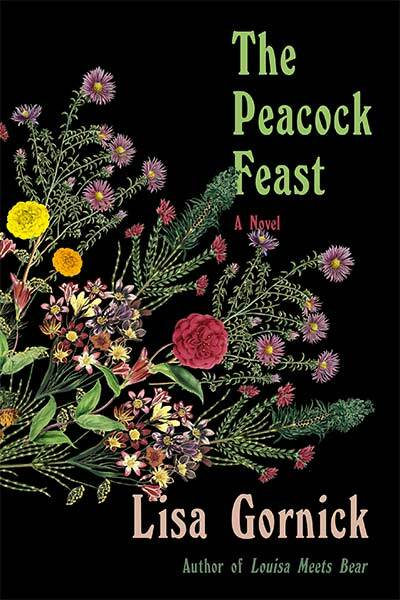 Q: How did you come up with the idea for The Peacock Feast, and for the O'Connor family? 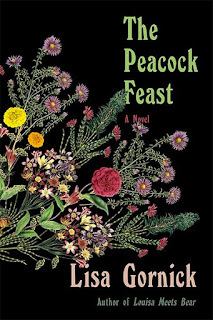 A: I was recently interviewed by Rebecca Makkai (The Great Believers), who asked me the “origin story” of The Peacock Feast. I love Rebecca’s idea that a book has an origin story because it captures the mix of reality and fantasy in the way writers, post facto, so often create a myth about how their books came into being. The Peacock Feast, though, truly did have a moment of inspiration that happened on a day in early 2007 at the Metropolitan Museum of Art when I first saw the photographs of a lavish and bizarre spectacle the glass genius Louis C. Tiffany meticulously produced in 1914 at his fantastical 84-room Long Island mansion—an event that came to be known as the Peacock Feast. Q: The book includes various historical figures, including Louis C. Tiffany. What did you see as the right blend between the fictional and historical as you wrote the novel? A: The emotional heart of the story is a week-long meeting between two fictional characters: a 101-year-old woman, Prudence, born at the Tiffany estate, where her parents were a gardener and maid; and the 43-year-old granddaughter of Prudence’s brother, with whom Prudence lost touch when he left home at 14. Readers have been surprised when I’ve pointed out that save for a brief moment when Tiffany, without saying a word, pokes his head into a room where Prudence is drawing while her father tends to a toy rain forest in a greenhouse alcove, Tiffany never appears in the novel. Rather, he is a looming shadow in the psyches of four generations of both Prudence’s family and his own. His daughter, Dorothy Burlingham, a fascinating woman who was intimately involved with the Freud family, does appear in several scenes with Prudence, scenes that draw heavily on the research I did about her, but are entirely imagined. Q: The story is told from various characters' points of view and takes place over nearly a century. How did you decide on the book's structure? A: As you may have detected from the “origin story” above, it took me over a decade to write this book—overlapping with my revising my second novel, Tinderbox, and putting together a collection of linked stories, Louisa Meets Bear. 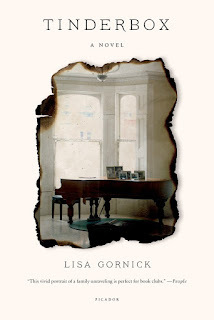 For the first few years, I was researching madly, guided by the hum of instinct as to where there might be narrative gold: the nooks and crannies in the diverse and accomplished lives of both Louis C. Tiffany and his daughter Dorothy, the history of interior design in America, communes in the 1960s, the death penalty in Texas in the 1980s. At some point, though, I had to put the research behind me, hoping that it had seeped into my characters so they could become people struggling with their own lives, not repositories of facts, and figure out the backbone for the book. I ultimately settled on three storylines that are initially told separately but eventually braid together: the week that Prudence and Grace, who’ve never before met, spend together; Prudence’s story, beginning with her earliest memories of her childhood on the Tiffany estate and then onward through her career as one of the early “lady decorators” and her marriage to a man whose family overlaps socially with the Tiffanys; and Grace’s storyline, which starts with what happened to her grandfather (Prudence’s brother) after he left home, before turning to her father’s story as he moves from the life of a young prince in San Francisco to joining a commune in northern California, where Grace was born. A: I had the title from the outset, but I couldn’t articulate what it signifies until a late draft, when my brilliant editor, Sarah Crichton, said something along the lines of “I know this must be the title, but the reader needs by the end to understand why.” With this challenge, I had to first clarify the meaning of the title in my own mind and then thread (hopefully delicately) the clues into the novel. I’m evading directly answering your question because I’d like readers to come to an answer for themselves, but I will point out two things: Prudence’s earliest memory is of watching Tiffany’s Peacock Feast, a memory that fleshes out over the course of the novel. A: For your D.C. readers, I’ll be at Politics and Prose on Feb. 10, with Whitney Scharer (The Age of Light), in conversation with Bethanne Patrick. Details about this event and others, as well as additional interviews and recent essays related to the novel, can be found here. --Interview with Deborah Kalb. Here's a previous Q&A with Lisa Gornick.